This week our post is going to be a little different. During this past week I’ve been going over and over in my head how this this blog has changed. The thing I realised is that our story and vision has changed since we began. It’s been just over a year since Upgrade Think Learn came to be and it’s safe to say it’s changed since back then. The fact is when this was created I had no idea what it actually was and where it was going. A lot has changed since then. Including our story and why we do what we do. It isn’t a major shift, it is more like we’ve finally been given the right prescription for our glasses. And we’ve gotta say, this clearer eyesight is bloody great. After working in education over ten years I still love what I get to do each and every day. Bringing fun, excitement, creativity and wonder into a class and staff room is something I aim to do each and every day. (And since becoming a dad last year, I get to try that out at home each and every day…even before, during and after a horrible nappy change). Whilst things won’t ever be perfect, that’s actually the best part. I choose to see every mistake and failure as an opportunity to discover or learn something new. Why? Because schools should be the kind of places that everyone – teachers and parents included – wants to be a part of. Where you can’t wait to discover what might happen next. Where you get to become that best You through succeeding and failing. 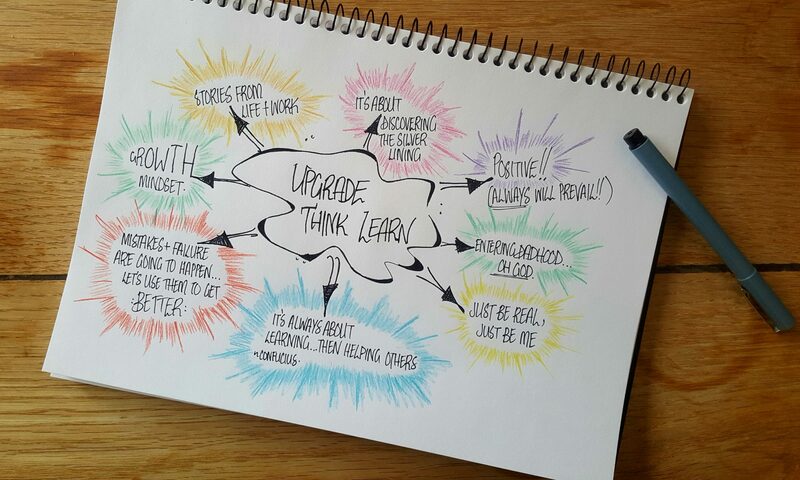 Upgrade Think Learn was created to share positivity, enthusiasm and a genuine belief in teaching and helping anyone. To make you smile, nod your head and discover some new insight through the stories and experiences of failure and success shared each week. In the end, this is all about helping others, because we can. Ready for some smiling and head nodding? WHY NOT BECOME A PART OF OUR COMMUNITY?